The Cornwall region is the farthest west you can go in England. 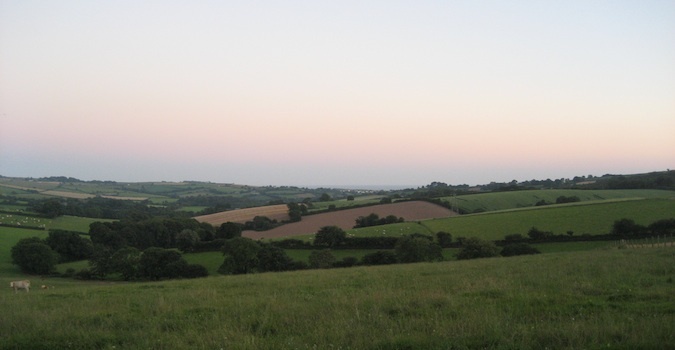 The county is filled with farms, small towns (I stayed in Lostwithiel, population 3,000), and tiny fishing villages. The area has been populated since the Neolithic and Bronze Age. Eventually, the Britons (who were Celtic in origin) claimed the region, with the first written account of the region dating all the back to the 4th century BCE. It’s been an important maritime region for centuries, though these days the area isn’t held in high regard. Cornwall is usually referred to as the backwater of England and its residents as rubes. Its image in England is like that of Kentucky or Tennessee in the United States. And, just like those two states, the stereotype of Cornwall is anything but true. This simple lifestyle is what gives Cornwall its charms and is one of the reasons it’s been the best place I’ve been in England. I could have easily spent the whole summer here relaxing, boating, biking, and gardening. Life around London is busy. People in the street rarely acknowledge each other, it’s all business, and everyone is rushing somewhere. You keep your head down and go your own way. In Cornwall, everyone was friendly, life was slower, the kids could stay out at night, and there are a plethora of outdoor activities to keep you busy during the day. Though this difference could be said about any rural/city comparison in the world, the analogy certainly applies here and is why so many couples and families move here from the Big Smoke. I was out here visiting Cornwall to see my friends Mat and Kat. I’d met them while traveling Vietnam in 2006. They had been cycling around Southeast Asia, and I was taking the easier train/bus route. We met up occasionally and even biked the Mekong Delta together (though that turned out to be a disaster). When I told them I was coming to England, they were happy to have me and were amazing hosts who tirelessly showed me all Cornwall had to offer. Visiting Cornwall, as it turns out, is very much like New England. On my first night there, we went to this riverside restaurant for dinner. I had fish and chips (the best I’ve had so far), and a few of their friends came down and we spent the night chatting away. The restaurant was located on the banks of a river dotted with little sailboats. Looking out over the river, I felt like I was in the Hudson Valley in New York, with only the accents of the locals giving the location away. That feeling stayed with me throughout my time in Cornwall. From the hill they’re on, you can see the surrounding farmland. Farms dot the rolling hills, and cows and sheep can be seen for miles. The hilly area reminded me of Vermont with its farms, wineries, and dairy producers. 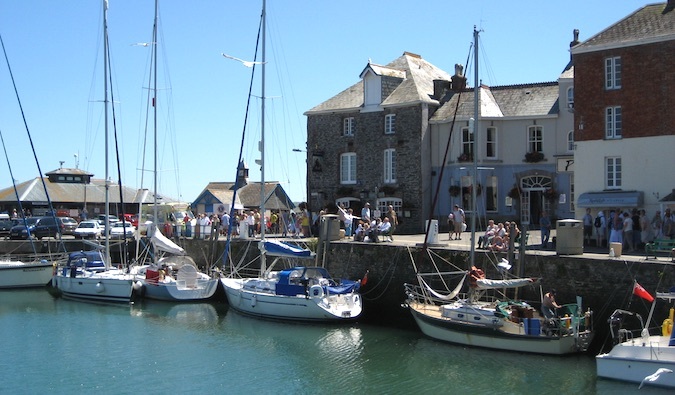 After a while, we ended in Padstow, and I felt like I’d returned home. All around me people were sitting at the marina, snacking on fried seafood and French fries as the seagulls circled overhead waiting for their meal. Tourists flooded in and out of the restaurants, and kids snacked on ice cream and fudge. Candy stores selling rock candy and taffy lined the streets, and adults sat outside with a beer. In the water, people sailed, wakeboarded, or swam while some boats headed out to sea. Yes, I had returned home to Rockport, or Gloucester, or the fishing villages of Maine, where all the locals go in the summer to escape the city. We spent lunchtime there and, after digesting our meal, headed back home—but not before stopping off at the winery to pick up a few bottles of their white. That night, a BBQ erupted among the locals in the town center. Families kept showing up, and before you knew it, it seemed like half the town’s children were playing in the stream while the parents kept a watchful eye. It was a real, friendly, small-town atmosphere, and it’s part of the reason my friends fell in love with the place. Again, it was like being in New England. All around New England, small towns have a similarly close and cozy feel. I always had a soft spot for the outdoors, and though I’m a city guy, I could easily spend a few months enjoying the area, with all those bike trails, rivers, woods, and fishing villages. And, especially, the impromptu barbecues. This beautiful, unique, three-acre garden overlooks Lamorna Cove. It is a maze of steep pathways and terraces that have been carved into the rocks. It’s a great place to bring your own picnic and go for a stroll. You can easily spend a couple hours walking around here and taking in the view. 1 Lamorna Cove, +44 1736 732153. Opening days and times vary so be sure to check in advance. Admission is 5 GBP for adults but children enter free! The Minack Theatre is Cornwall’s world famous open-air theatre. It is carved into a granite cliff and overlooks Porthcurno Bay and offers performances from May- September. The area was first used for performances in the 1930s, with the venue growing in size over the years. These days, over 100,000 people visit the theatre each year. Porthcurno, +44 1736 810181, minack.com. Prices vary depending on the event. See the website for performance information. This Iron Age settlement is 2,000 years old and is one of the best examples of a settlement in the country. Archaeological investigations have revealed that these people were mostly farmers and might have also had pigs and goats. It’s a great snapshot of the past and worth checking out if you’re a fan of history. New Mill, +44 0370 333 1181, english-heritage.org.uk/visit/places/chysauster-ancient-village. Closed from November 5, 2018 to March 31, 2019. Adult tickets are 4.80 GBP, with discounts for students, seniors, and children. This was my favorite thing to do here. It’s one of the most popular bikes routes in the country and runs from Padstow to Wenford Bridge. The 28km trail passes through wooded countryside, estuaries, across wineries, and through small towns. It’s extremely flat and easy to do and can be done in a day! It’s a great way to get a sense for the region while getting some exercise! Built between 1539-1545, St Mawes Castle is among the best-preserved of Henry VIII’s coastal artillery fortresses and the most elaborately decorated of them all. The castle was designed to sink passing enemy ships (primarily from nearby Catholic France and Spain). It’s amazing, huge, and the displays are quite informative! Castle Drive, St. Mawes, +44 370 333 1181, english-heritage.org.uk/visit/places/st-mawes-castle. Open daily from 10am-6pm but check the website before your visit to confirm. Admission is 6 GBP for adults with discounts available for children and families. 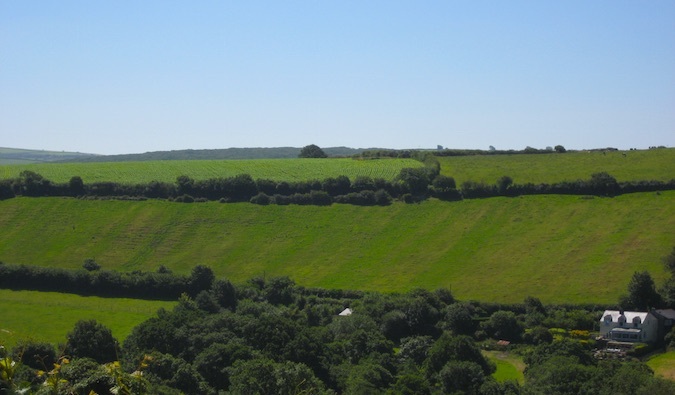 Legend says this is the birthplace of King Arthur. Explore the grounds, the castle, and you can even visit nearby “Merlin’s Cave.” Set high on the rugged North Cornwall coast with dramatic views and fascinating ruins, even if Arthur was never born here, it’s one of the prettiest castles in the area and definitely worth a visit. Castle Road, Tintagel, +44 8407 70328, english-heritage.org.uk/visit/places/tintagel-castle. The castle is closed until spring 2019. Admission is 9.50 GBP for adults, with discounts available for children and families. While you can take the ferry over, walking to the island during low tide is much more fun. Located on the island are a castle and chapel which likely date back to a monastery from the 8th century. While much smaller than the Mont Saint-Michel in France, it definitely evokes the same feeling. This is one of 4 Tate galleries in the UK, home to an incredible modern art collection (if modern art is your thing). It’s located right by the ocean and offers some great views in addition to some impressive art. Check the website for the most up-to-date list of exhibitions and events. Porthmeor Beach, +44 0173 679 6226, tate.org.uk/visit/tate-st-ives. Open Tuesday-Sunday from 10am-4pm. Admission is 10.50 GBP for adults, with free entry to anyone under 18. You can also get 1 GBP off your ticket price if you get there by public transportation. Flights from London to Cornwall (Newquay airport) operate daily and are just over an hour. Tickets can usually be purchased for 30-120 GBP. 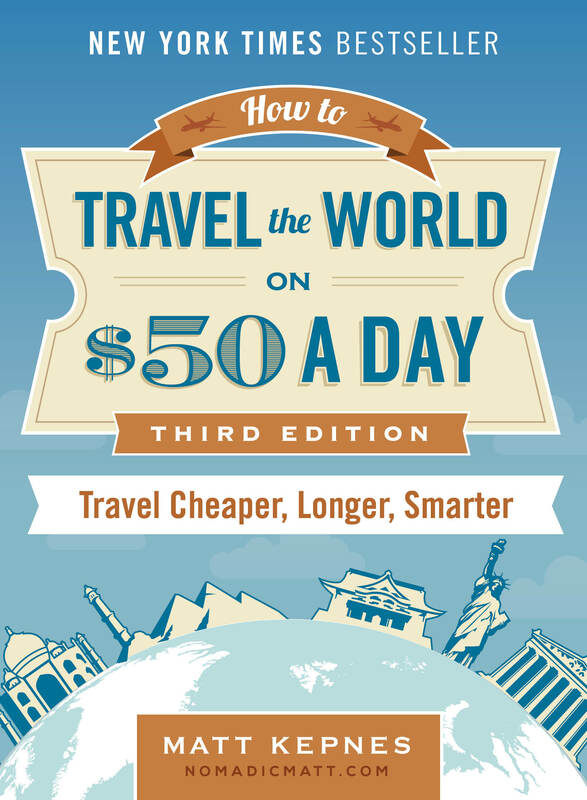 Depending on where exactly you go, the journey by train will take just over 5 hours and cost between 100-200 GBP. If you want to take the bus, expect to pay around 20 GBP for the 7-hour journey. If you’re going by car, the trip will take around 5hrs 30 minutes (again, depending on where in the region you want to go). You can book your hostel with Hostelworld as they have the largest inventory. If you’re not looking for a hostel, use Booking.com as they consistently return the cheapest rates for guesthouses and cheap hotels. I use them all the time. Want More Information on England? 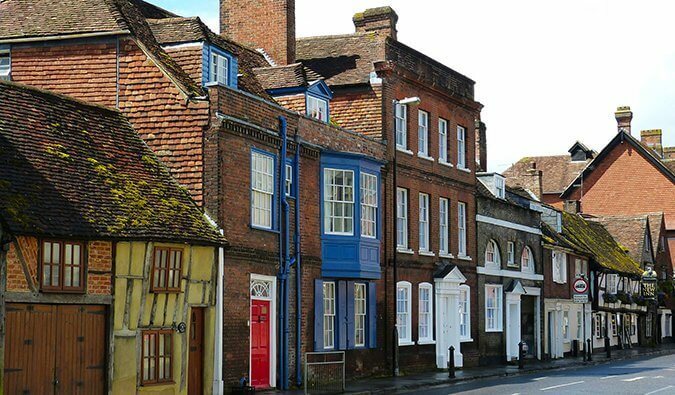 Be sure to visit our robust destination guide on England for even more planning tips! Great post though – Cornwall is a very special place. Loved to see your Cornwall pics! And of course the Prague post!! Meanwhile Blogtrotter is now at the MoMA for Art and New York lovers! Hope you enjoy and wish you a great week! I think I’d like Cornwall. Looks very picturesque. @theresa: cornwall is very lovely! @geoff: I heard a lot of complaints by locals about the tourists! they were not fans. @eva: I’d be right there with you. Cornwall was just stunningly. I have nothing bad to say….though I’d live in Lostwithiel with my mates. I luuuuuurve Cornwall!! Spent my Easter holidays there when I was living in the UK a couple years back – if it wasn’t so darn far from everything (part of its charm, I realize – but makes it difficult to be a travel writer who actually does much traveling) I would have gotten a working holiday visa and moved to Penzance by now! Those pictures are beautiful – and I can see why it reminded you of New England. When I first went to Padstow a seagull took a whole pasty from a girls hand, you’ve gotta hold those pasties tight and keep your eyes peeled! Yep Cornwall is a beautiful place, I recently moved back here from Spain and can’t believe the property prices, they are asking 1/2 million for an apartment overlooking the beach in Newquay! Cornwall is one of the best place to visit. This destination offers tons of activities to do to make your vacation lively, worthwhile, and unforgettable. When planning for a weekend getaway or just a simple holiday vacation with family and friends, I just blogged about the wonderful places to stay in Cornwall. Cornwall is beautiful, St Ives in particular. It’s up there with my favourite places to visit, there’s a real charm about the place. I personally prefer my holidays in a much colder climate where skiing and chalets are in abundance, but for British breaks, the South West is lovely. Hi Matt! I’m heading to UK for a month long road trip and am hitting up Cornwall on day 5. Do you recommend St.Ives or any other spot besides Padstow? I heard all of it is gorgeous, just not sure how many days to dedicate to Cornwall. After that I want to visit Wales and the north then skip over to Scotland for two weeks. I lived in Cornwall for 3 years of my life, and it’s such a wonderful place. I couldn’t agree more with your opinions on London/the city life, it’s nice for a visit but it’s just too hard to live there for any extended period of time. Cornwall, on the other hand, I intend to return to as it’s by far my favourite place in England! Incidentally, I have a funny feeling the fish and chip shop on the river you refer to was ‘Harbour Lights’ in Falmouth? If it is, you found the best fish and chips in the world. Great post! Im from the south west of England, Devon actually, which boarders Cornwall. Im so glad you enjoyed it! Padstow especially is gorgeous! 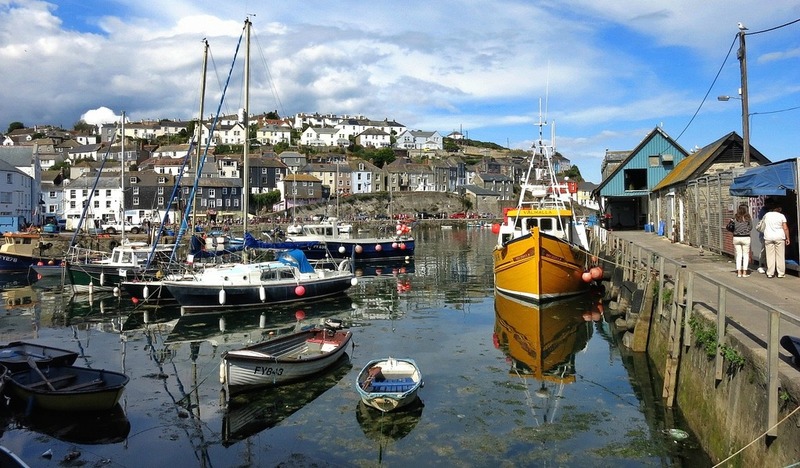 Looe, St Ives and St Austell are lovely too! Just signed up to your site, enjoying reading your back catalogue whilst sat in Phnom Penn! Hi! I would like to travel to Cornwall. 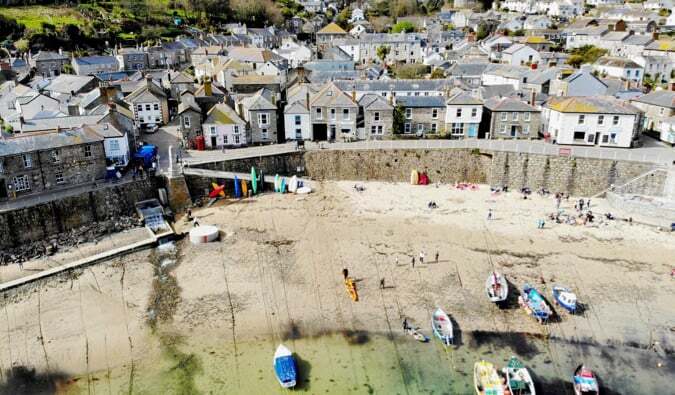 Where would you recommend us to stay (St Ives… Penzance) and how many days do you think will be sufficient!